Mavericks Rye Pale Ale, Tunnel Vision IPA and Belgian Style Wit (Paul Kirchner). Some breweries are launched in corporate boardrooms. Others originate from the backyards of home brewers. Mavericks Brewing in Half Moon Bay started after a bike ride. Mavericks is the brain child of Pete Slosberg, best known as the Pete of Pete’s Wicked Ale. An avid cyclist, he often went on long journeys starting from his home in San Francisco. “I would go on 25-40 mile bike trips, across the Golden Gate Bridge, and eventually stop at the Marin Brewing Company taproom in Larkspur. Problem was, after stopping there for a beer or two, I didn’t feel steady enough to get back on my bike and head home. Instead, I’d take the ferry.” Loving the reward of a good tasting beer but not enjoying the effects of too much alcohol, he hit upon the idea of brewing low alcohol craft beers for active people. 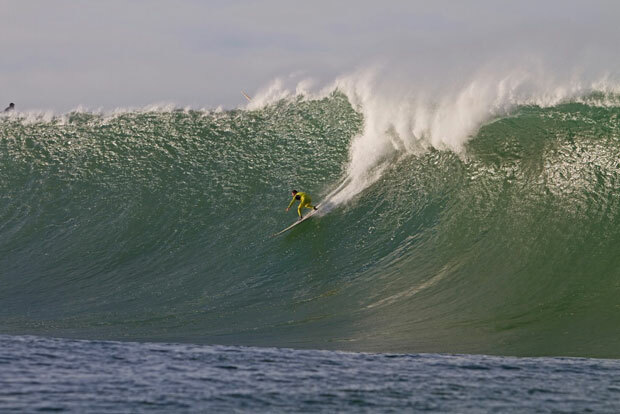 Slosberg’s idea for Mavericks was bucking a trend. 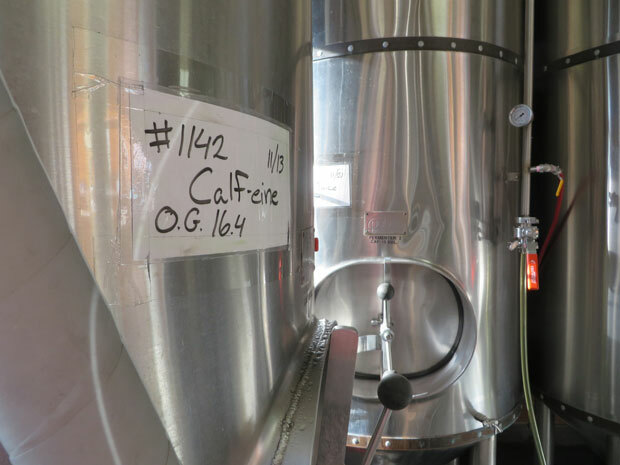 “All the new breweries were coming out with extreme this and extreme that. There’s a time and a place for high alcohol beer, but we wanted to do something different, and more like something I’d rather drink.” So a little over two years ago, Slosberg partnered with Half Moon Bay Brewing Company to launch the Mavericks line of lower alcohol beers, naming the brewery after the huge waves crashing off the coast of Half Moon Bay that test the world’s best surfers. Peter Mel surfing Mavericks (Frank Quirarte). Today Slosberg remains a trusted advisor, having passed the baton to current CEO Steve Morgan. Building from a foundation of bold tasting, lower alcohol “session” beers, the company recently brought some additional excitement to the table with the addition of its Tunnel Vision IPA. 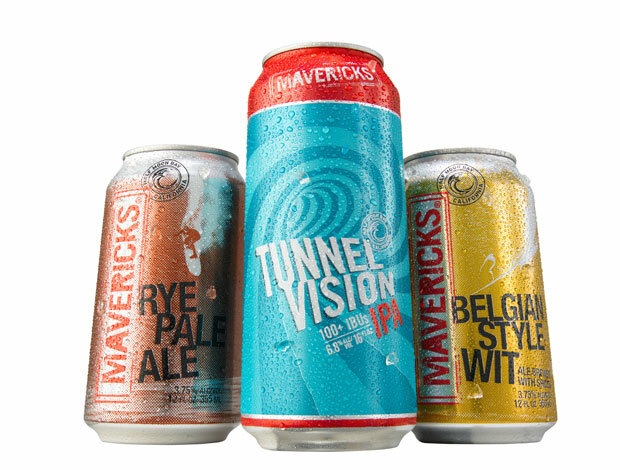 Today Mavericks has three lower alcohol beers in their line-up checking in at 3.75% alcohol by volume (abv). These include a Belgian wit, a porter, and a rye pale ale (for comparison, Budweiser is 5% abv). Then there’s the aforementioned wildcard of the line-up, Tunnel Vision IPA. I can see why everyone I talked to at Mavericks is pretty excited about Tunnel Vision. I picked up lots of great floral aromas as I poured it into a glass. Tunnel Vision has a great big tropical hop punch, with flavors of mango, and some floral character as well. It’s amazingly smooth drinking for all of its hoppiness. Personally, I think it rates up there with any of the most famous west coast IPAs. 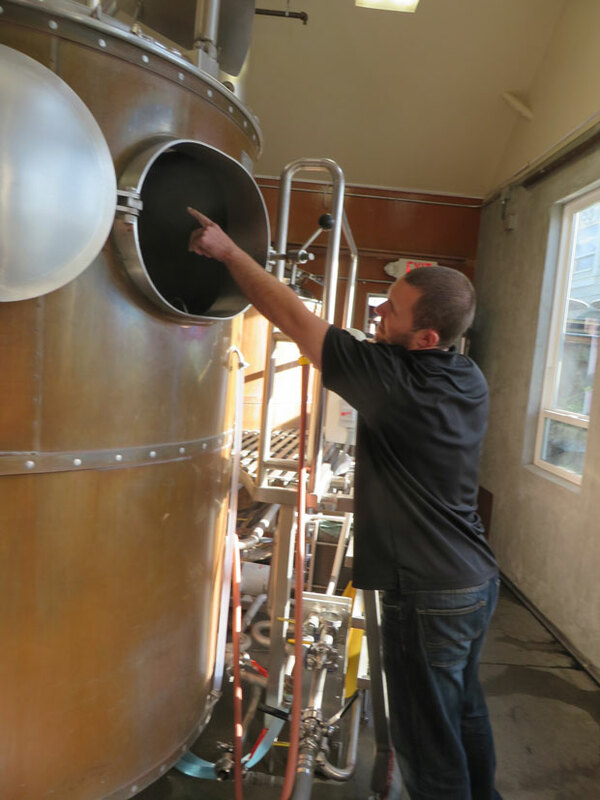 General Manager Nate Rey explaining the Mash Tun process, where they steep the malted barley in hot water. Speaking of flavor, just how do these beers taste? Mavericks certainly delivers on the flavors people expect from craft beers. While they don’t have a malty feel you get from a lot of craft beers, they’re certainly not watery either. The Belgian wit is the lightest of the bunch, with flavors of coriander, orange peel and a slight tang one expects from a good wit. The porter is rather dry, with a direct, uncluttered taste of bitter chocolate. Then there is the intriguing rye pale ale, a rather lively brew. The peppery character of the rye melds nicely with the floral and citrus flavors from a blend of four different hops. Until recently Mavericks beer was hard to find as Half Moon Bay Brewing Company was distributing it to only a few outlets. That changed with the arrival of CEO Steve Morgan this past summer, who’s quickly established a larger distribution program. Mavericks is now found at BevMo!, Costplus, Total Wine, and Lunardi’s in Northern California, as well as other locations. Steve Morgan is a undeniably a businessman, with a long career selling wine and beer at Beringer, Ernest and Julio Gallo, and Napa Smith Brewery and Winery. But he’s also a long time open water swimmer, having completed the Golden Gate and Alcatraz events multiple times, so he certainly knows a few things about having a beer after spending an afternoon playing outside. Beer drinkers everywhere have reaped the benefits of craft brewing entrepreneurship. Instead of light lagers that once dominated the beer landscape, we can now choose from a wide variety of beer styles to suit our preferences. With Mavericks, we can now decide to have the flavors we’ve grown to appreciate in a craft-style beer without as much alcohol. One of the eight fermentation tanks at The Half Moon Bay Brewing Company.